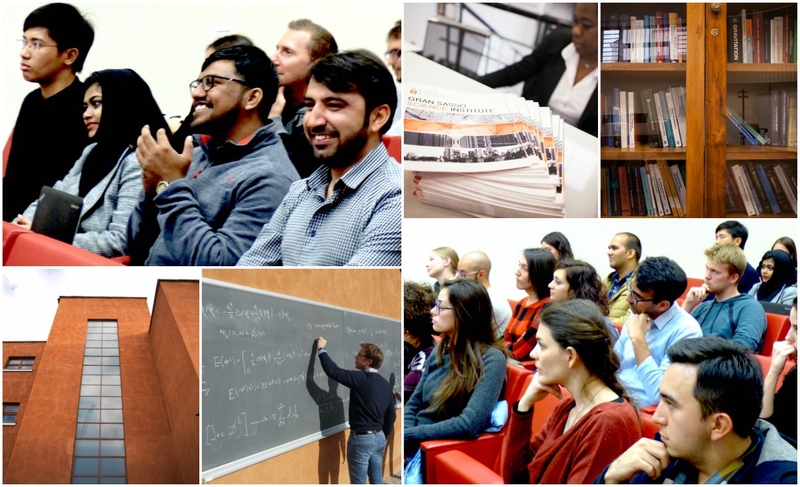 The Gran Sasso Science Institute offers 34 PhD fellowships for the academic year 2018/19 and invites applications for 10 fellowships in “Astroparticle Physics”, 8 in “Mathematics in Natural, Social and Life Sciences”, 8 in “Computer Science” and 8 in “Urban Studies and Regional Science”. The official language for all PhD courses is English. The fellowships are awarded for 4 years and their yearly amount is € 16.159,91 gross. All PhD students have free accommodation at the GSSI facilities and use of the canteen. The application must be submitted through the online form available at www.gssi.it/phd/ by 20 June 2018 at 18.00 (Italian time zone, 6pm). The Gran Sasso Science Institute (GSSI) is an international PhD school and a center for research and higher education in the areas of Physics, Mathematics, Computer Science and Social Sciences. Founded in 2012 in L’Aquila (Italy) as Center for Advanced Studies of the National Institute for Nuclear Physics (INFN) and then established in March 2016 as a School of Advanced Studies providing post-graduate education. Through a day-to-day collaboration and interaction, researchers and students have the opportunity to build a sound knowledge of the research methods and to experiment contamination of interests, innovative approaches and multicultural exchanges in all the GSSI activities. In addressing the complexity of today’s world, we are committed to removing all barriers between the GSSI areas of study and research, where interdisciplinarity and cross-fertilization underlie everything we do. Among our goals are the dissemination of scientific results towards society and the promotion of cultural events for generic public, citizens and schools. Below are over 22 UNICEF Vacancies in the Middle East and North Africa. Click on each position for details and to apply on the job website. The London School of Hygiene & Tropical Medicine has advertised 23 job opportunities. Click on each opportunity for details and to apply the school's website.